"It makes me very uncomfortable to have the White House telling reporters, 'You're going to regret doing something that you believe in,'" Woodward said. 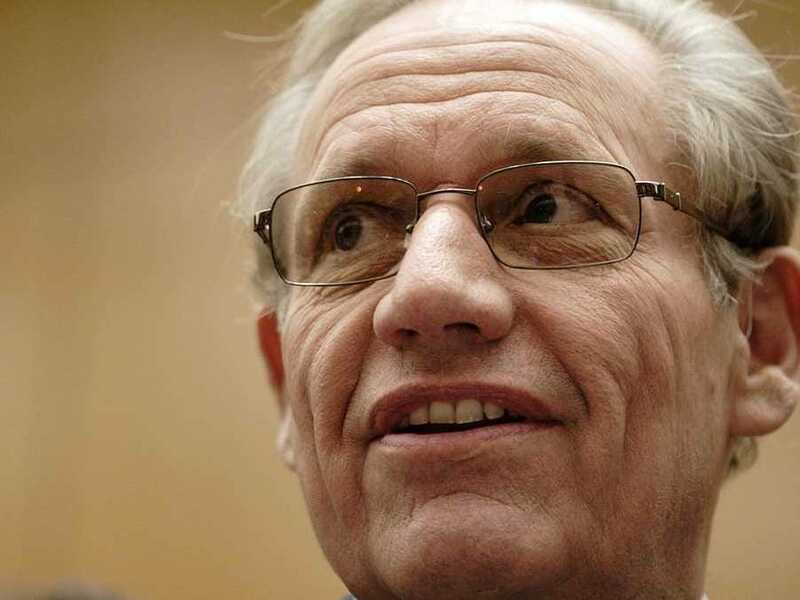 "I think they're confused," Woodward said of the White House's pushback on his reporting. The White House aide who Woodward said threatened him was Gene Sperling, the director of the White House Economic Council, BuzzFeed's Ben Smith reported. Earlier today on MSNBC's "Morning Joe," Woodward ripped into Obama in what has become an ongoing feud between the veteran Washington Post journalist and the White House. Woodward said Obama was showing a "kind of madness I haven't seen in a long time" for a decision not to deploy an aircraft carrier to the Persian Gulf because of budget concerns. The Defense Department said in early February that it would not deploy the U.S.S. Harry Truman to the Persian Gulf, citing budget concerns relating to the looming cuts known as the sequester. "Can you imagine Ronald Reagan sitting there and saying, 'Oh, by the way, I can't do this because of some budget document ?'" Woodward said on MSNBC. "Or George W. Bush saying, 'You know, I'm not going to invade Iraq because I can't get the aircraft carriers I need?'" Or even Bill Clinton saying, 'You know, I'm not going to attack Saddam Hussein's intelligence headquarters,' ... because of some budget document?" Last weekend, Woodward called out Obama for what he said was "moving the goal posts" on the sequester by requesting that revenue be part of a deal to avert it. "Mad" like a fox. - W.E. The Washington Post's Bob Woodward ripped into President Barack Obama on "Morning Joe" today, saying he's exhibiting a "kind of madness I haven't seen in a long time" for a decision not to deploy an aircraft carrier to the Persian Gulf because of budget concerns. "Can you imagine Ronald Reagan sitting there and saying, 'Oh, by the way, I can't do this because of some budget document ?'" Woodward said. "Under the Constitution, the President is commander-in-chief and employs the force. And so we now have the President going out because of this piece of paper and this agreement. 'I can’t do what I need to do to protect the country,'" Woodward said. "That’s a kind of madness that I haven't seen in a long time," he said. Woodward's harsh criticism came after he stirred controversy last weekend by calling out Obama for what he said was "moving the goal posts" on the sequester by requesting that revenue be part of a deal to avert it.